Jason Vorhees is ready for his close-up. Without question, at the top of my list would be Friday the 13th. 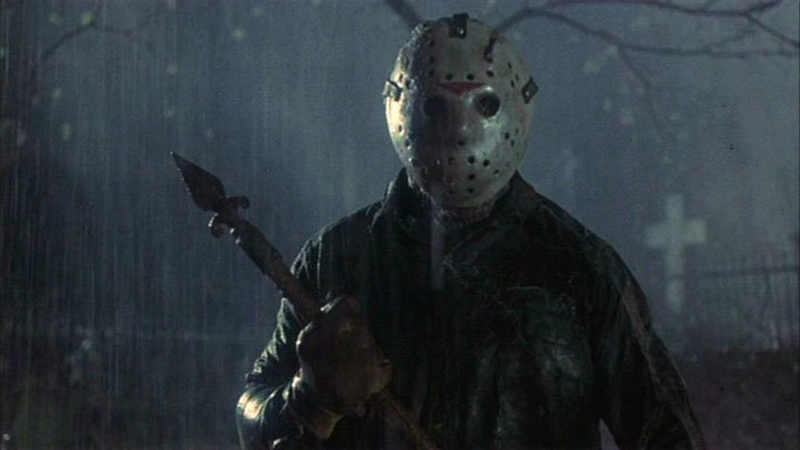 Friday the 13th would be the franchise that I would love to work on next. Jason Blum shares that same passion. That is something that is unfortunately complicated. I mean, there’s all sorts of stuff going on not [just] with the video game, but legal stuff. But, if it came our way, I mean I would be on cloud nine. It would be absolutely incredible to do. I feel a little bit smoother, because, I think there are only a few promises you’d need to make when it comes to Friday the 13th. That’s, you know, you gotta deliver on a summer camp. You gotta deliver on counselors. You gotta deliver on Jason Voorhees.